with thumb and index finger. 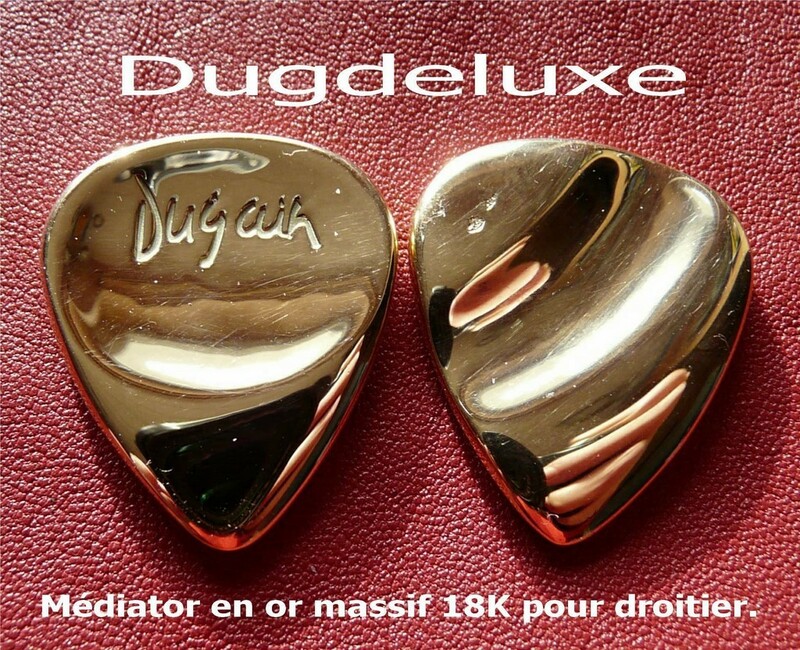 Ergonomic Standug plectrum for right handed 30mmx25mmx4mm in Solid Gold 18 K- Poinçon side index. For delivery in Europe and rest of the world, contact us because the regulation is different depending on the country. "Give yourself this unique jewel with one of the noblest material that is"